Set in New York City we are introduced to fresh-faced Princeton as he struggles to find his purpose: meeting friends, finding love, losing love, and finding it again along the way. Inspired by the beloved children's show Sesame Street, Avenue Q creates a puppet-filled world that is a little more reflective of the difficult, R-rated realities that we face upon learning that real life isn't as simple as we dreamed it might be – but perhaps, suggests Avenue Q, life is all the more colourful and worthwhile for it. 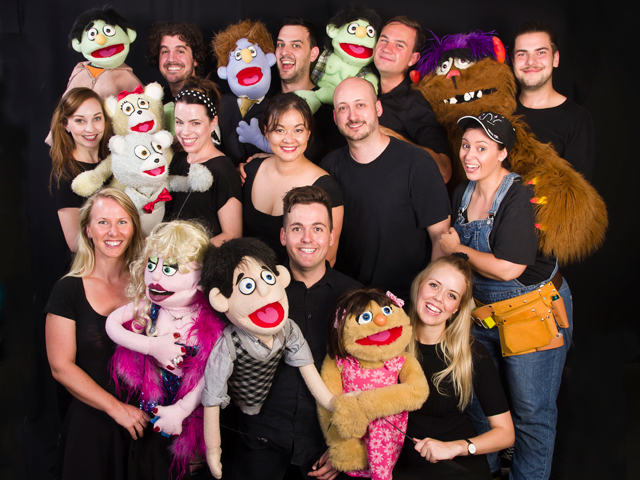 Peter Meredith directs North Shore Theatre Company's production of Avenue Q and said of his vision for the show: "There are few shows that combine such silliness, hilarious and provocative content with heart-felt, genuine emotion like Avenue Q. We are having a lot of fun exploring the possibilities of what you can (and can't - or shouldn't) do in this show, so audiences are in for a fun ride come opening night!" With that in mind, what can audiences expect of the show? Meredith says, "You either know Avenue Q intimately or not at all. If you know the show it's likely you haven't seen it because it's so rarely staged - so you'll love seeing some of your favourite numbers live with a terrific cast. If you don't know the musical at all....oh boy! Here are three words to set the scene for you: rude Sesame Street!"